A well-maintained entry will help sell your home. Take black and white photos to get a fresh perspective. Before defining edges and adding mulch. After defining edges and adding mulch. The skirting effect on shrubs creates a more open appearance. Use bold paint color to perk up patio furniture. A good first impression can make a world of difference when you're selling your home. 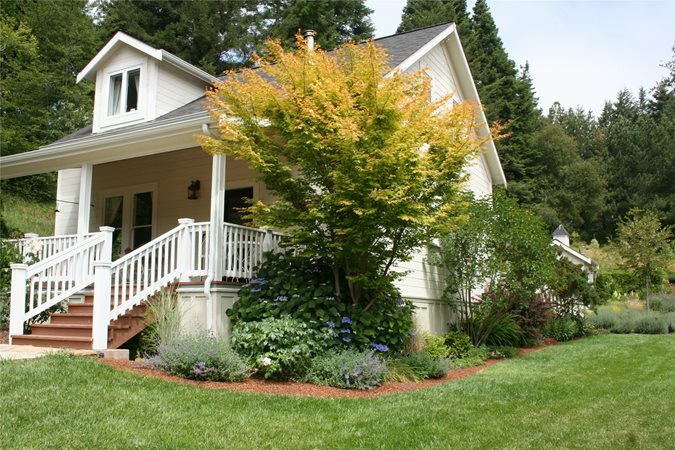 By upgrading your curb appeal, you have a chance to influence how potential buyers feel about your home before they even step inside. While it's important to balance the money you spend on improvements with a realistic idea of what you can recoup, many improvements to your landscaping can cost little, compared to the benefits of increased home value and a faster sale. 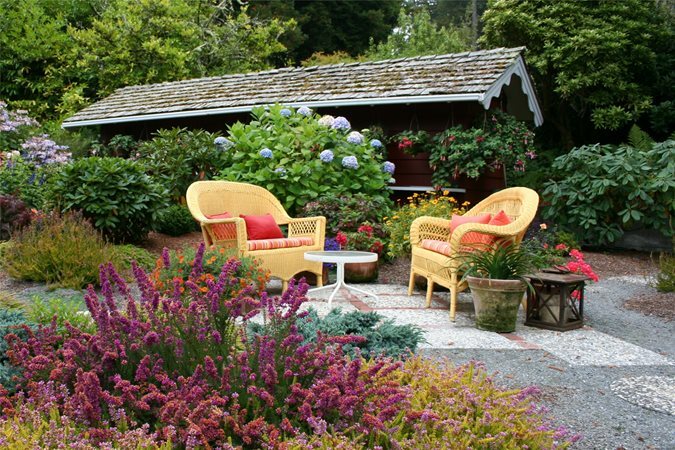 Front yard landscaping should be colorful and attractive. But a garden that reads "high-maintenance" can scare people away, so it's important to keep landscaping neat and uncluttered. 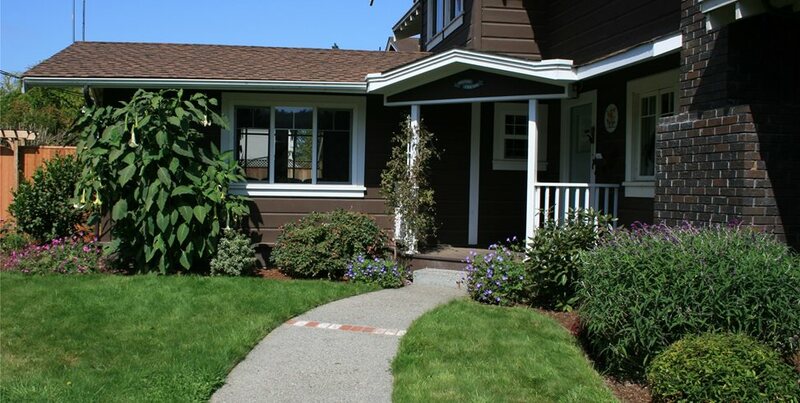 Below is a list of some simple ways to improve your curb appeal when selling your home. 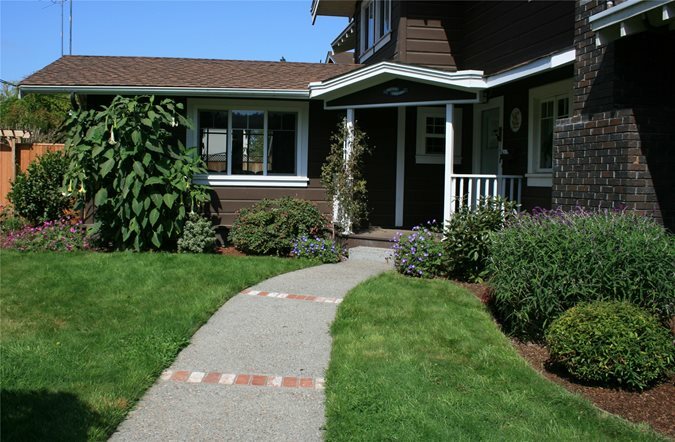 Also, here is a list of 7 unique approaches to front yard landscaping. The first is an old artist's trick. Stand back from your landscape, far enough away that you can see all of it at once. Then squint your eyes until they blur, and try to clear your mind. The second technique you can use to see your landscape with fresh eyes is to take some black and white photographs of your landscaping. Taking color away can make a familiar space seem new, so you can see it with objective eyes. Nowadays, most digital cameras have a black and white setting, so this is easy to do even if you're not a techno-whiz. Start by laying out a garden hose, or using spray chalk to outline the new border. Don't make the beginner's mistake of creating a wavy, "drunken snake" of a line; instead go for broad, sweeping curves that are in scale with the size of your home. Then, use a mattock or pulaski to chip away at the grass until you have a clean, attractive line. 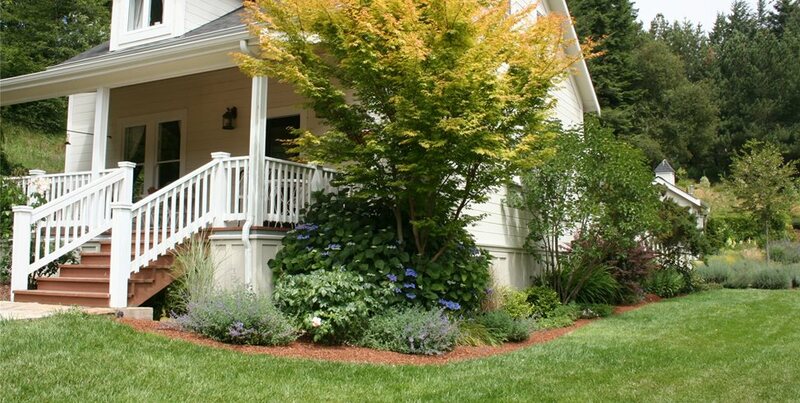 Once you've established a neat border, a layer of wood chip mulch adds a refined look. Not only does it help keep weeds down during the selling process, but the bright color is attractive, smooths out an uneven soil surface, and generally gives the landscaping a professional finish. While pruning can be tough to tackle if you don't know what you're doing, there are a few simple pruning techniques that can make a fast difference. Just remember that you don't want to prune anything severely if you can help it, or attack anything with the hedging shears unless the plant is quite clearly meant to be a hedge. That kind of pruning makes it obvious that the maintenance got out of control, which is not the signal you want to send to potential buyers! Instead, focus on subtler ways of pruning. One technique that makes shrubs look neat with little effort is to "skirt" them. 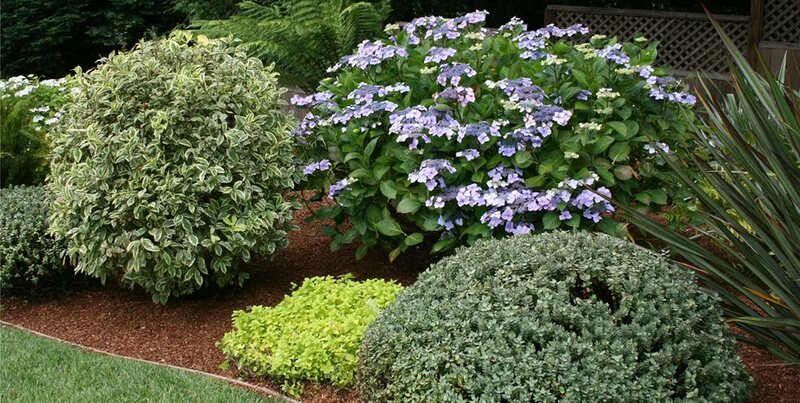 Skirting is when you prune around the base of a shrub, removing any branches that are within 6 inches of the ground. 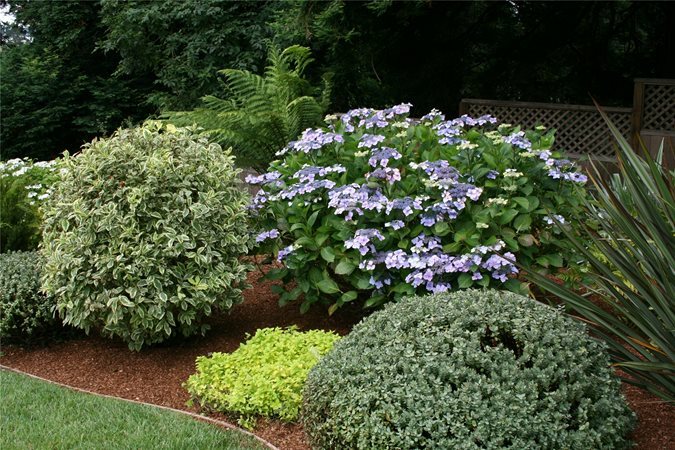 This gives a more open appearance, and works wonders on Rhododendrons and other shrubs that can look moundy and overwhelming when sprawling on the ground. Another good pruning task is to gently prune any plant that is touching the house. Plants that lean on the house can cause chipped paint as well as mold and ant infestations. If your buyer has a home inspection done, it's a problem that will be noted in the report. Pruning plants 8 inches to 1 foot away from the house will give the landscaping a more open appearance, as well as give you room to power wash the house or touch up paint as needed. 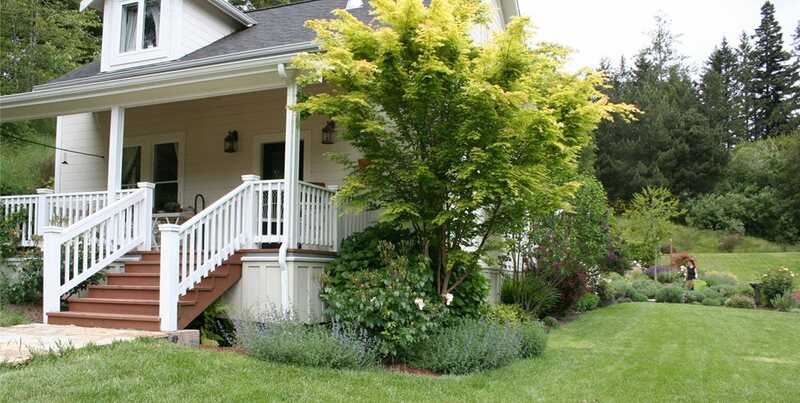 The only shrubs that should be pruned heavily are those that are flopping over a walkway, blocking the view from the street to the front door, or keeping light from streaming into a window. Even then, it's better to thin plants gracefully or consider even removing them, rather than going in for The Big Chop. If a focal area isn't drawing the eye as it should (think front door, patio and seating areas), a bold shot of color can be just what's needed. While the obvious solution is to use container plantings, there are a few important points to remember. Lastly, don't be afraid of paint. If your patio furniture looks tired and worn, it will be hard for potential buyers to envision themselves sitting there. Freshly stained or painted patio furniture can draw the eye and help buyers imagine the great times they'll have in their new landscape. 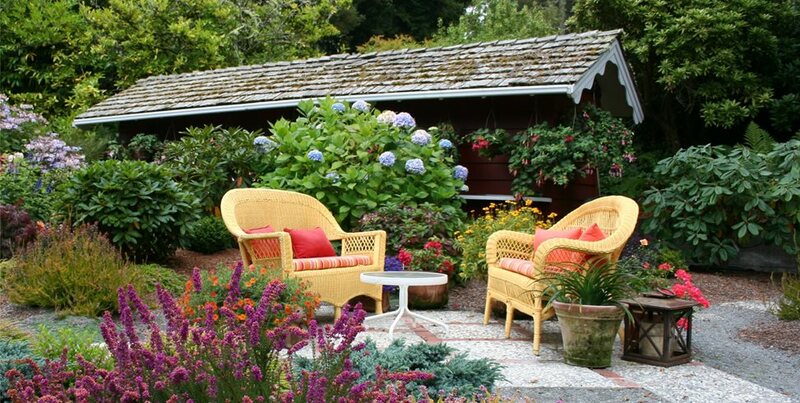 Choose a color that picks up on some element in the landscaping, and add a few cushions to set the scene. 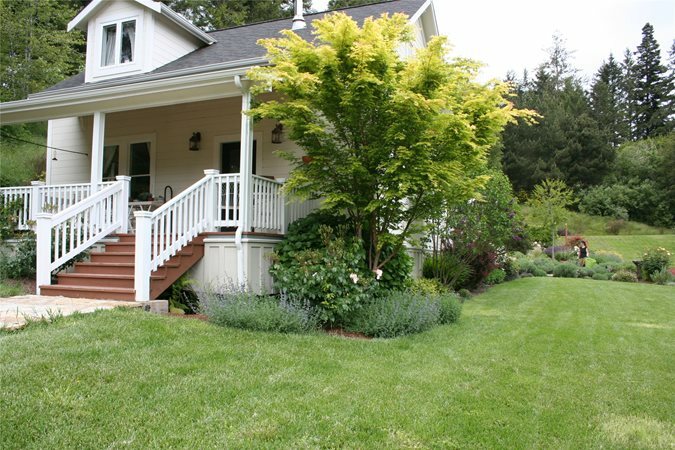 Most landscape designers offer a one-time consultation service. If you're having trouble deciding what to focus on, even a short meeting with a professional can help you pinpoint the tasks that will bring the greatest return.